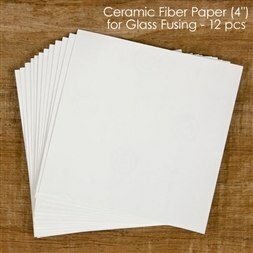 Ceramic fiber papers perfect for glass fusing. Each paper is cut to 4 in x 4 in. The package includes 12 fiber papers.